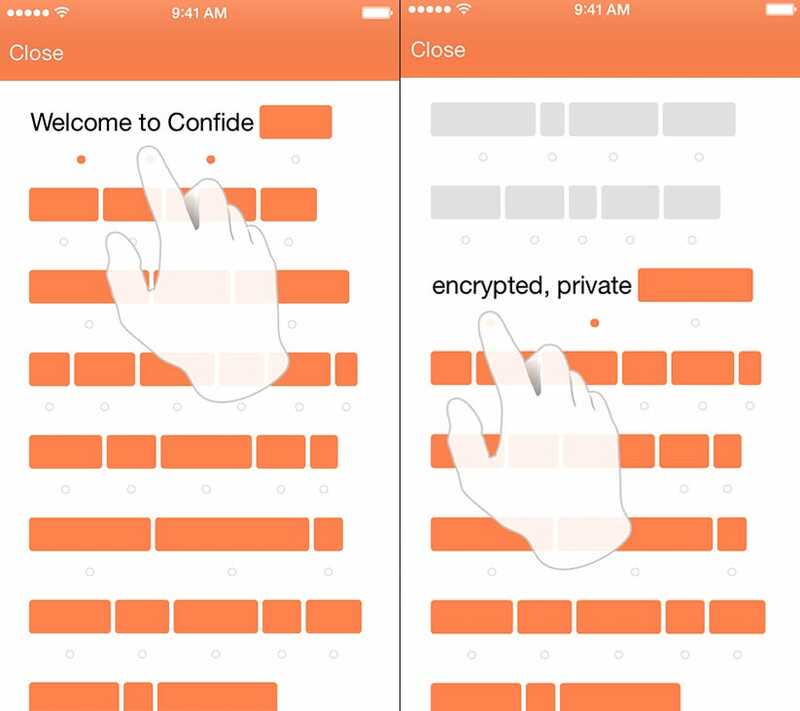 Confide is an instant messaging app for exchanging classified private information. After Snowden’s leaked stories, hacked iClouds and British PM’s address the issue of data security has moved to a new level. New encryption protocols, trending encrypted instant messengers and cloud storage, incognito browsing — are all user responses to prying government eyes. Despite end-to-end encrypting (Telegram), when servers don’t store anything, there is room for a potential loophole by way of screenshots – an easy way of saving any text message. Confide brings Burn After Reading SMS security — there is no way of taking message screenshots or viewing it later. If you attempt to take a screenshot the message will automatically be deleted and your conversation partner will be notified of your failed attempt. Those, wishing to take snapshots, are left sidelined. All sentences are blurred out in gray, but a single one will become visible if you hold a finger over it. Obviously, the group chat function isn’t available. All messages, sent via Confide, are destroyed upon reading. AOL‘s former chief John Brod and Yext CEO Howard Lerman have managed to create a messenger that makes it virtually impossible to lose any private data within the app. The actual question is are there enough data-schizophrenics, worrying like crazy about their privacy?